Dear August, I want July back. It’s crazy hot out today, so writing about the relatively new Grand Sichuan restaurant in Jersey City is sort of appropriate. Apparently it opened back in the winter, but they didn’t change the name on the store front or something strange like that until more recently. 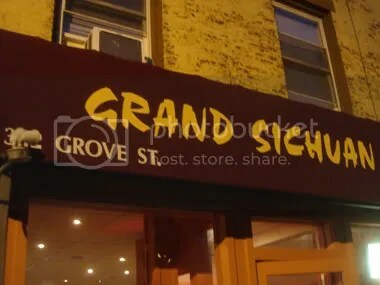 Anyway, yes, it appears to be related to the great Grand Sichuan restaurants in Manhattan, which is really good news. 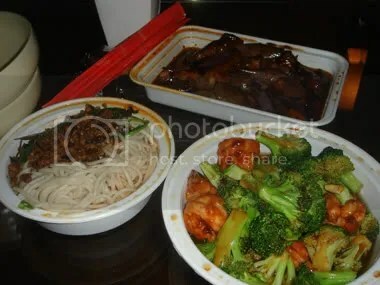 I ordered three things: the dan dan noodles, shrimp and broccoli from the “American Chinese” section of the menu, and eggplant with garlic sauce from the “Classical Sichuan” section. I was really impressed. Like I said, I’d dine in for the fresh stuff like dumplings, but as takeout goes, this is really good food, better than anything else you can get in Jersey City. Sure, I’d like a few more bargains on the menu, but you’re paying for the quality here. And of course that’s a lot of food there, easily enough for two people. But let’s talk about the dan dan noodles. Maybe you already know about my adventures in Flushing to find the best of the best. If not, read here. So my standards are high. 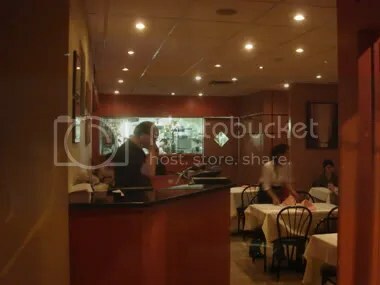 As you can see from the above photos, the noodles are served unmixed, and then you mix them up yourself. I really enjoyed the noodles. They’re spicy, but not deadly spicy. And you get that tingle, presumably from Sichuan peppercorns. 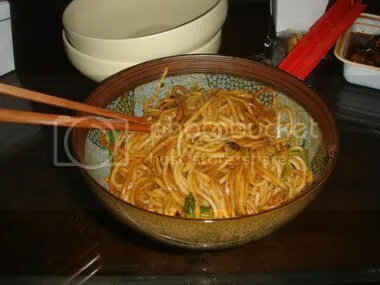 But compared to the noodles at Sichuan Chengdu, you can actually eat the dan dan noodles at Grand Sichuan without feeling like you might pass out, or like your tongue might fall out. And at $4.25, they’re a real bargain. I will be back, often.